As deputy prime minister and interior minister, the leader of the right-wing Lega party has quickly become the dominant force in Italian politics. His star is rising, and he looks to have his sights set on the very top. When Matteo Salvini headed to the beach this summer for his first swim of the season, he posed for a selfie that deliberately exposed his flabby belly. He wanted to remind his political supporters that he was one of them. It wasn’t the first time. Italy’s brash interior minister, who thrives on upending political perceptions with his devil-may-care attitude, once made the cover of a weekly magazine wearing only a tie—even though he rarely wears one with a jacket. Salvini may not be prime minister just yet, but most Italians agree it is only a question of time. There is no doubt he is the dominant force in Italian politics. Since his rejuvenated Lega party formed a coalition government with the populist Five Star Movement (M5S) in June, his popularity has surged and his right-wing party is now the most popular in the country. He has even flirted with running for the presidency of the European Commission. With his anti-immigrant stance and open hostility toward the European Union, Salvini is determined to reshape the political landscape in Italy and Europe, and according to the latest polls, one-third of the country is right behind him. Salvini does not fit the traditional mold of an Italian politician. Born in Milan in 1973, he studied political science and history at the University of Milan but dropped out before his final exams. He was involved in left-wing politics before joining the right-wing party then known as Lega Nord (“Northern League”) in 1990. He ran its radio station, Radio Padania, for several years. In this traditional Catholic country, he married, but then got divorced. He has a son, Federico, from his marriage, as well as a daughter, Mirta, from a subsequent relationship that ended in 2012. He is currently engaged to a popular TV host. 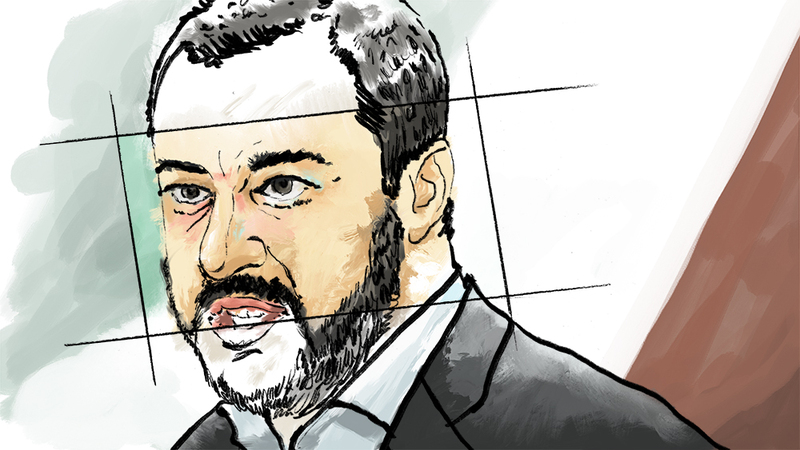 Driven by acute political instincts and ruthless ambition, Salvini easily secured the leadership of the Lega in 2013. He drew on his experience as a local Milan city councilor and member of the European Parliament to reposition the party and give it a nation-wide identity.But it was his ability to tap into the concerns of average Italians and his clever exploitation of social media that secured his popularity. Drawing inspiration from the success of US President Donald Trump, Salvini has adopted the slogan “Italians First.” In his campaign for the March election, he promised to deport 500,000 illegal immigrants, take a tougher stance on crime, introduce a flat tax, abolish the EU fiscal compact, and even legalize brothels. The Lega’s share of the vote surged from a dismal four percent to nearly 18 percent, easily surpassing the party of former prime minister Silvio Berlusconi. It became the dominant right-wing player—but not quite dominant enough to seize power on its own. Salvini was forced to seek a marriage of convenience with the populist Five Star Movement. Immigration was at the top of Salvini’s agenda. No sooner was he appointed interior minister than he made global headlines by refusing to allow a private vessel carrying 629 refugees and migrants rescued off the coast of Libya to dock in Italy. “Go wherever you want, but not to Italy,” Salvini tweeted after he closed the ports to migrants. Working with France’s far-right leader Marine Le Pen, Hungary’s nationalist Prime Minister Viktor Orbán, and others from the right, Salvini is aiming to overthrow the European Union’s liberal establishment, reinforce the borders, and restore power to nation states―an agenda many see as a threat to European unity. Salvini’s ten-member social media team, dubbed the “Beast,” pumps out messages across YouTube, Twitter, and Instagram, with tweets including xenophobic rants, promotion of his achievements, or upcoming radio and TV appearances—even photos of his favorite pesto sauce or pizza. Thus Salvini’s rate of social media engagement surpasses Trump. Now the Lega is polling as high as 34 percent and has overtaken its M5S coalition partner. Well before this year’s election, Salvini had questioned the value of the euro and adopted a position that was very critical of the EU. Since then, he has stepped up his attacks. Most recently, the conflict over Rome’s 2019 budget is providing him with ammunition against Brussels. Despite a binding commitment by an earlier Italian government, Salvini’s coalition inists on increasing spending and running a 2.4 percent deficit next year. Professor Francesco Giavazzi, a leading economist at Bocconi University in Milan, said Salvini flourished by creating an “external enemy,” whether it is the European Commission or the European Central Bank. Given the conflict over the budget and its effects on the financial markets, Giavazzi warned Italy was on the edge of an economic abyss unlike anything it had seen in the past 70 years. Salvini prefers to blame Brussels or Berlin when questions about the Italian budget or border controls arise. But he is not ready to walk away from the European Union just yet. In fact the Lega leader is staking his political future on the European elections in May 2019, in the hope that they will not only help him reshape the EU but reaffirm his political dominance at home as well. is an Australian journalist living in Rome, where she covers Italian politics, arts, and culture for international media.